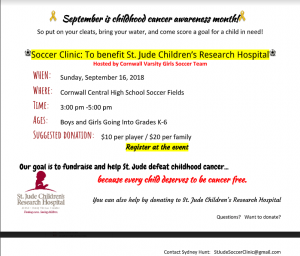 This is our third year running a soccer clinic to benefit St. Jude’s Children’s Research Hospital. Our senior, Sydney Hunt, coordinated this event each fall beginning in 2015. 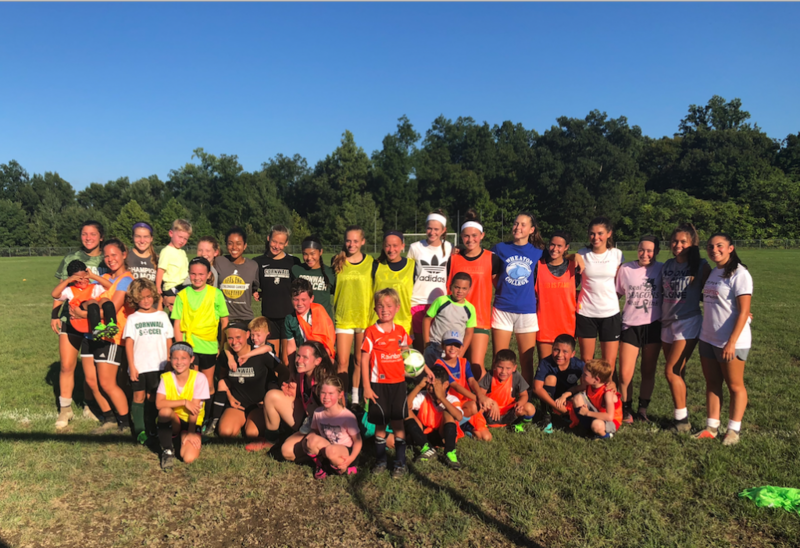 Sydney was integral in organizing this soccer clinic from the very beginning. She ran in the 5k race in New York City and was inspired to bring this important cause to our soccer program. Since then, she has raised over $3,000. She collected funds at local recreational games and spread the word on social media. She also had all of the necessary materials needed to sign in participants and set up registration. Her teammates contributed equipment, expertise, and enthusiasm for the game. 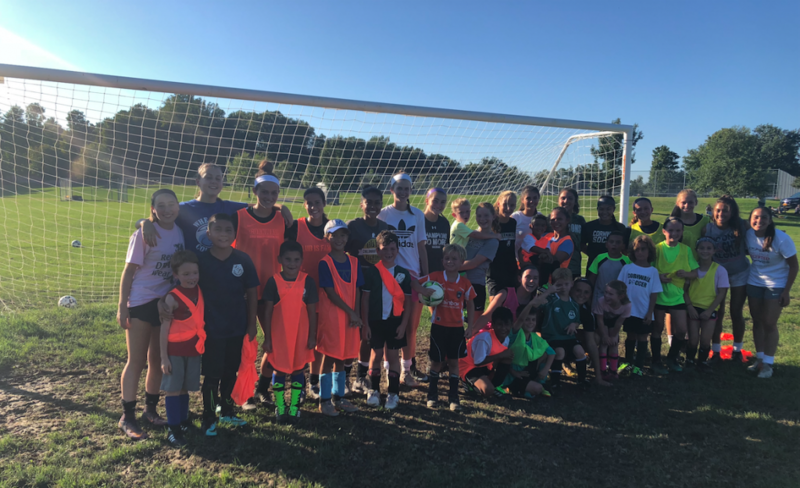 They were helpful in suggesting fun drills and age- appropriate soccer games to play. The participants ranged from ages 4-12 and all had a wonderful time playing fun games and honing their soccer skills. The event was a huge success whilst connecting with our local community.